Hey, Magooshers. Mr. B here. Today I’m talking to a specific group of readers: community college students and high school seniors planning to attend community college after graduation. For many students, community college is an economical stepping stone between high school and a four-year university. Many of my former students took this route, and it helped them build their skills and knowledge before going on to greater things. If you’re a community college student (or thinking about becoming one), there are a few big reasons why studying for (and retaking) the SAT is a great idea. If you stick with me over the next few paragraphs, I’ll make a believer out of you. Okay, so you’re planning to attend community college next year. First of all, that’s great! Good for you on continuing your education. Yet even before your first class, retaking the SAT can save you some huge headaches down the road. Here’s the Problem: Community colleges are open to everybody (as they should be), but course placement is a minefield. Most community colleges rely on two pieces of testing software (ACCUPLACER and COMPASS) to place students without SAT/ACT scores into English and Math courses. 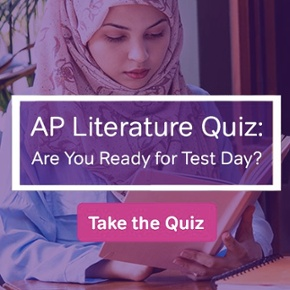 Despite these tests having a massive impact on students’ success in community college, few community colleges relay the importance of these tests to incoming students needing placement. This results in a large percentage of students being placed into classes below (and sometimes above) their true ability level. Frustrated students = students dropping out = BAD OUTCOME. I don’t want you going anywhere near ACCUPLACER, COMPASS, or any ‘placement’ test offered by your community college. Fortunately, there is a fix. 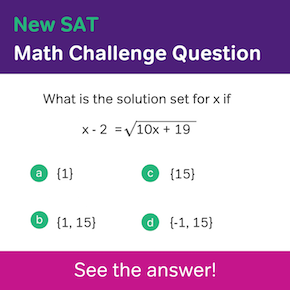 Here’s the Solution: The SAT isn’t a perfect test, either, but it’s much more predictive of your English/Math potential than ACCUPLACER/COMPASS/WHATEVER. If you know you’re going to attend community college, go to the admissions department and ask about how SAT scores play a role in placement. Get a copy of whatever policies they have and break out the SAT study guides. Your community college may also have a study center where professors or TAs offer tutoring sessions. It may or may not cost money, but it’s something to look into, especially if you’ve been out of high school for more than a few years. Okay, so you’re in community college. You’ve taken the SAT and used your scores to place into Math and English courses. Everything’s going well. Now it’s time to think about transferring to a four-year university. Now, for some of you, by retaking the SAT for placement purposes, your scores may already be good enough to transfer. If that’s the case, yay! You can go ahead and skip down to where I talk about scholarships. But if your SAT scores still need a little improvement, it’s time to once again hit the books. Don’t start fretting just yet. Remember, as a community college student, you’re taking English and Math courses. You’re honing your SAT skills by simply going to class. 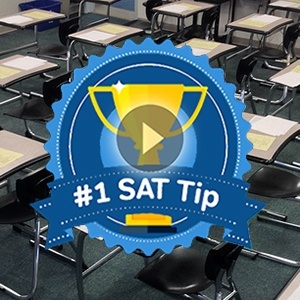 You may discover that you actually don’t need too much test prep to increase your SAT scores. Yet, as always, if you need to do a little studying, get to your campus’ tutoring center ASAP! Congratulations, you got into a four-year university. Yay! It costs (a lot) more money. Boo! It’s time to look for scholarships. First of all, when it comes to financing a four-year college education, loans should be a last resort. If you’re returning to college after many years out of school, there are scholarships out there just for you. If you’re still young and started community college right after high school, it may be a bit tougher to find scholarships. Standardized test scores are at the bottom, but that doesn’t mean they’re not important. Many four-year colleges have guaranteed merit scholarships based on tests scores. If you’re researching four-year colleges, see what merit scholarships they offer. If a college doesn’t offer merit scholarships (and your finances are tight), I’d recommend striking that college from your list. As we’ve seen, taking the SAT can help more people than just high school juniors and seniors. No matter how old you are, if community college is in your future, it’s time to tackle the SAT. 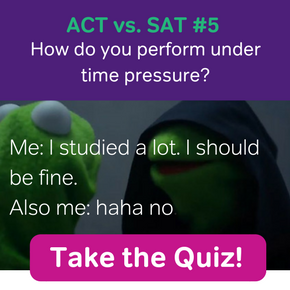 Best of luck in your SAT adventures. Till next time, Magooshers.